A magical night! 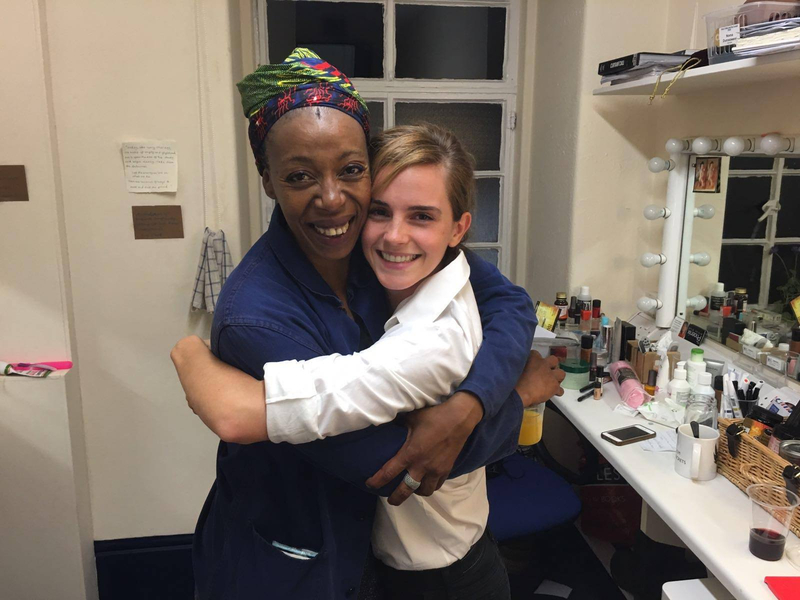 Emma Watson came face-to-face with Noma Dumezweni, the actress who plays Hermione Granger in the upcoming London play, Harry Potter and the Cursed Child, on Thursday, July 7. PHOTOS: Ten Years of Harry Potter Premieres! Dumezweni, who is in her forties, returned the sentiment in a series of tweets that evening. “@EmWatson It really was quite emotional to be in your company… And Thank you 4 your lovely self. We spoke of you with MAJOR respect !” she gushed. The warm reception is a sharp contrast to the controversy that surrounded the play, a narrative set 19 years after the end of Harry Potter and the Deathly Hallows, the series’ final book. Devoted Potterheads criticized the casting of Dumezweni, a black actress, as she doesn’t resemble Watson, who played Granger in the book’s film series. Watson also showed her support in a tweet in January. “Can&apos;t wait to see Noma Dumezweni as Hermione on stage this year,” she wrote.